Fungal biotechnology increasingly relies on a set of tools to facilitate genetic manipulations for better economic outcomes (Table 3.1). In this chapter I will review some of the newer tools and technologies that can be used to advance biotechnology programs with fungi. 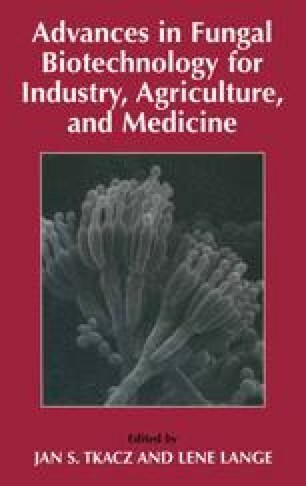 For the purposes of this chapter I have focussed on tools applicable to heterotrophic filamentous ascomycetes, by far the most important fungi for biotechnology, but with some creativeness, these techniques can likely be adapted for a broader range of fungi. It is important to point out that the success or efficiency of any particular technology is generally fungal-specific. For example, rates of protoplast regeneration, transformation frequency, and degree of gene targeting are all variable depending on the fungal species and even the genetic background of particular strains.